Before implementing cross docking, a business or a company needs to perform a detailed analysis. A company should look out that if using such logistic approach will raise the production as well as the number of satisfied consumer. Another important point to consider is, do the expenses get diminished and the earnings get increase. The supply chain is moved forward by cross docking. Cross docking services can be very helpful in transporting those items which requires storing environment and are unpreserved. Cross docking can deliver consignment in a rapid way and efficiently. This not only benefits the consumer but also the business and the logistics provider. Cross docking brings forward a vital place for sorting and storing of consignments or cargos. All the related consignments are put together and then delivered to various consumers in a faster manner. Such kind of practice is said to be “hub and spoke.” Hub is the place where materials get sorted and then are shipped to various destinations across USA. Cross docking combines various small loads of cargos in just a single mode of transportation. This practice is referred to be ‘consolidation arrangements’ and this can help in saving the expenditures of transportation. This approach requires less involvement of warehousing. Cross docking services can be used when the demand for products are steady. A stable agenda and coordination is formed to administer the frequent deliveries. The data that is collected through the ‘demand inventory’ is to be analyzed effectively which can further help in bringing down the expenses. Products from one supplier, say from Newyork, to many customers, across all over USA can be channeled easily. Cross docking is also responsible for delivering those products which has limited shelf period. For such products the storing part is not applied and the product is directly delivered to the consumer. This gives the product a longer time to be in the shelf prior to purchase. Thus, the cross docking companies are providing good products as well as potential services to the consumers not only of Newyork, but everywhere in USA. Cross docking is of great use when any online store organizes a festive sale. At such occasion the volume of sales gets to its peak and the delivery needs to done very rapidly. It is also a cost effective approach of delivering products to the consumer. During such turnouts the cross docking 3pl are outsourced for further convenience. Cross docking is also the alternative when campaigns through crowdfunding take shape. To meet the several challenges in logistics cross docking services continues to be an obligatory approach. There are various unnoticed yet decisive actions which makes cross docking not as easy as it seems. For cross docking to come out successful there are quite a few cross docking best practices which need to be accomplished. It is very necessary to be part of the supply chain and it requires healthy partnership among all. There must not be any communication gap between all the partners. A strong contact can work wonders in the long run. While performing a cross docking and transloading operation the management and communication among workforce must be maintained. The cross docking company need to provide product of best quality and the product availability should be optimum. Utilizing the cross docking and transshipment operation might turn out to be quite fruitful sometimes. For the successful running of a logistics, it requires professional staff, updated and foolproof tools and equipments and well-maintained facilities. Facilities like cross docking warehouse needs to have all the essentials to support cross docking. 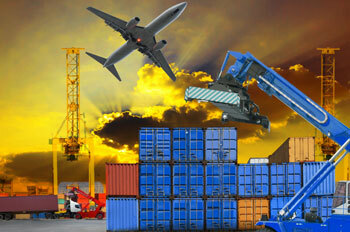 Every company knows cross-docking is very advantageous logistics strategy which can support the delivery procedure. Customers Get Products Quicker :- As the consignments are transported at a hastened pace, the turnover also increases, which results in quicker delivery. In comparison to other methods cross docking services is faster because of the absence of warehousing process. Cutting Down Expenses of Transportation :- As products for one location are transported collectively, this would play a major factor in lowering expenditures. The trucks for shipping, to one destination, are always fully loaded. Reduction of Storing Cost :- Owing to the mechanization practice in cross docking workstation, the expenditures of storing cargos, freights, etc. will get reduced. While using cross docking services, the shipments are stored for very less amount of time. 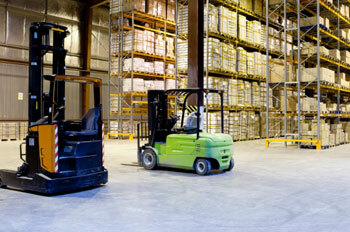 Handling of Stock Involves Fewer Risk :- Cross Docking doesn’t require that much of warehousing. So, there is less worry of managing stock which can lessen the handling risks. Most of the procedures of logistics are carried out having all the substantial basics in place that is mandatory for cross docking. But, very often cross docking is put into practice with no execution of proper plan. As cross docking comprises of numerous roles, internal & external, this is to be kept collectively. Without the execution of a proper plan cross docking might collapse. The proper plan must deal with the various practices as discussed above so that cross docking is applied for productiveness as well as profitability. How Same Day Delivery Helps in Inventory Management?